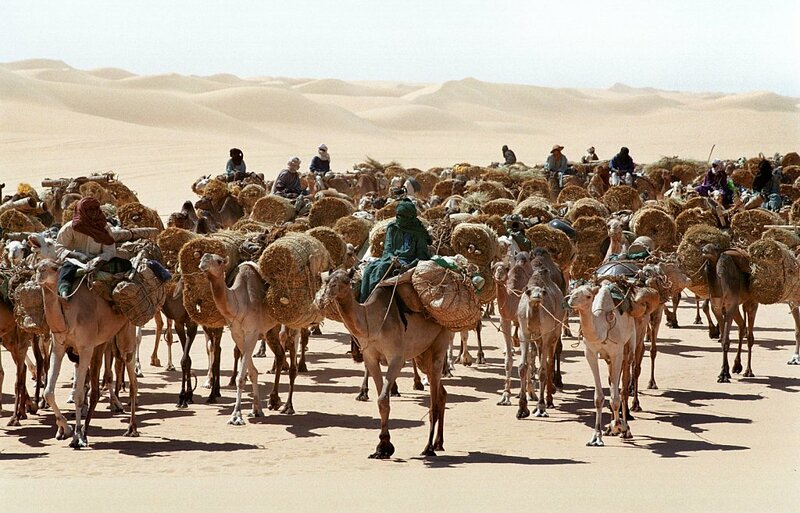 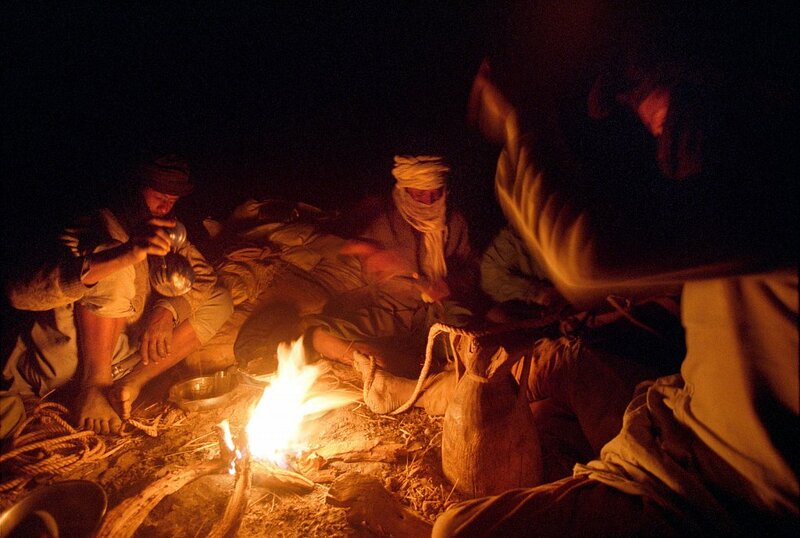 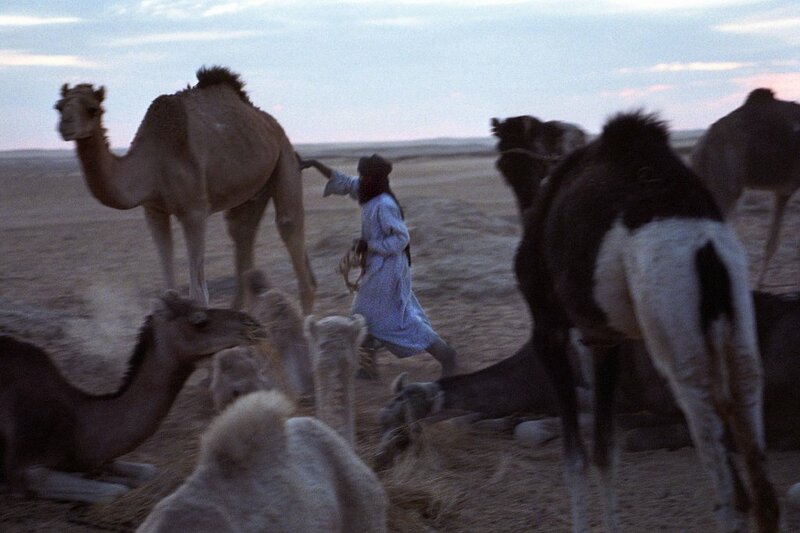 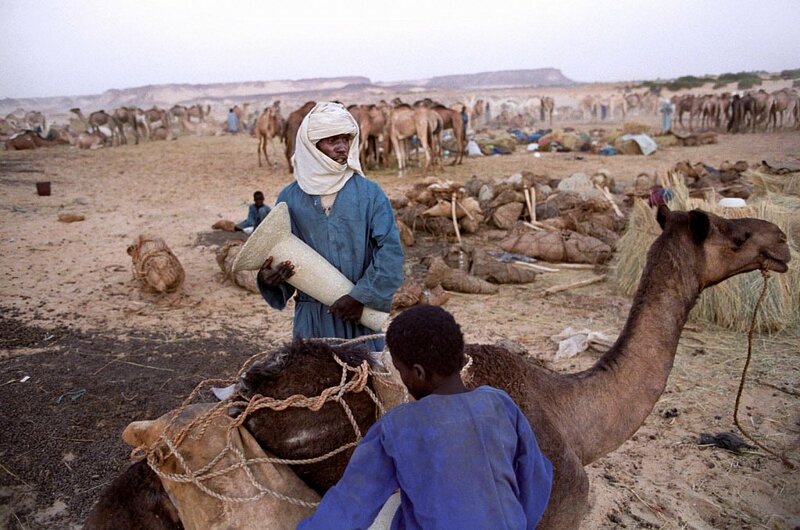 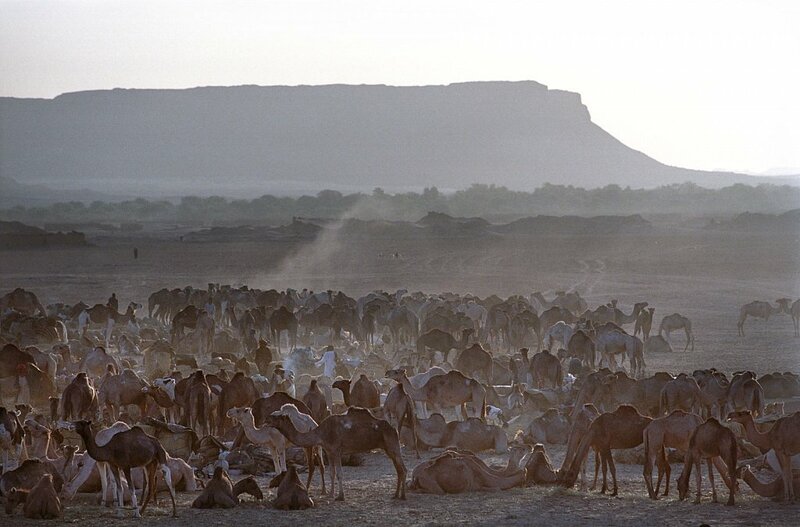 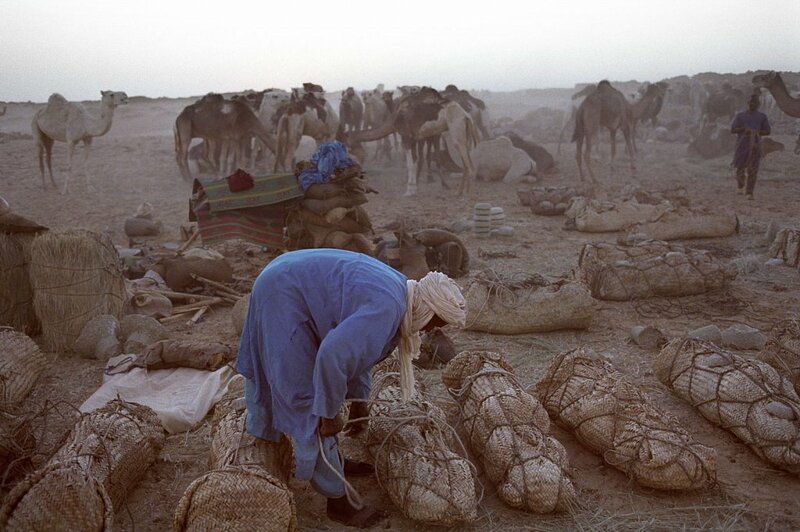 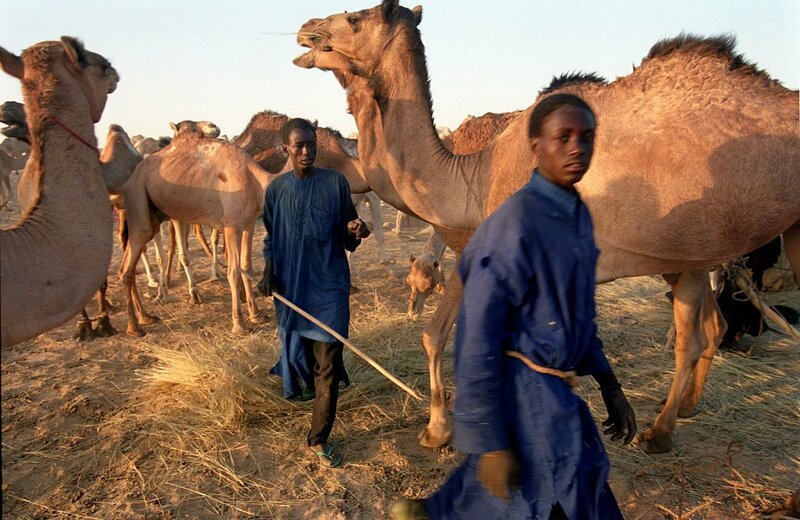 Each winter Tuareg caravans cross Niger's Tenere desert to fetch salt from the Bilma and Fachi oasis. 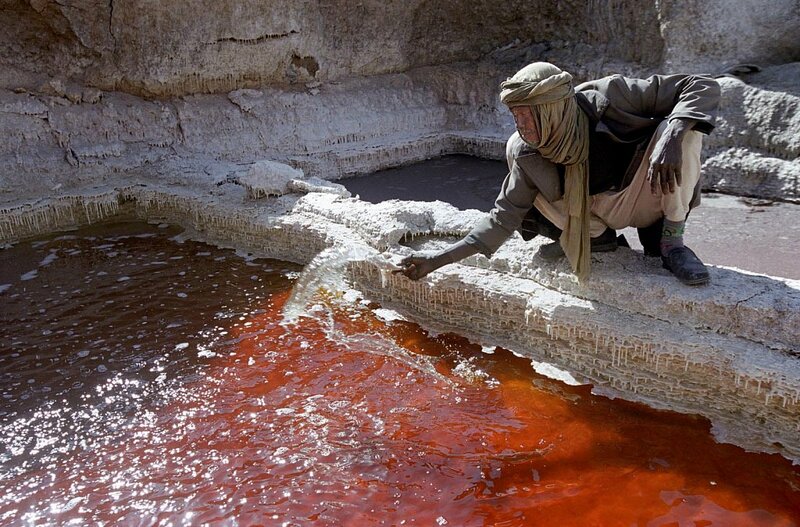 The salt is produced for livestock and is traded for dried vegetables and flour. 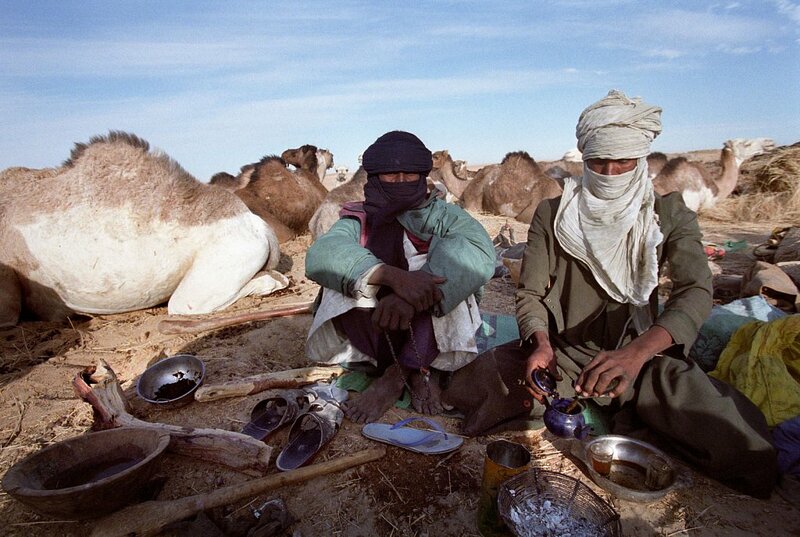 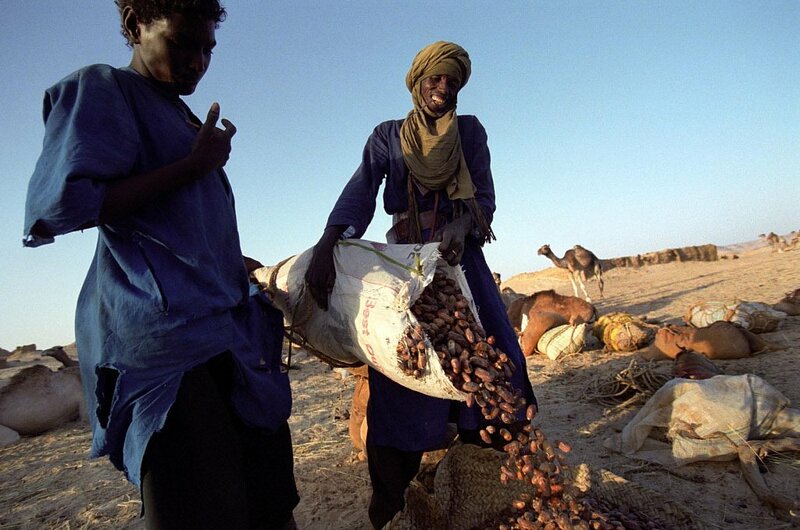 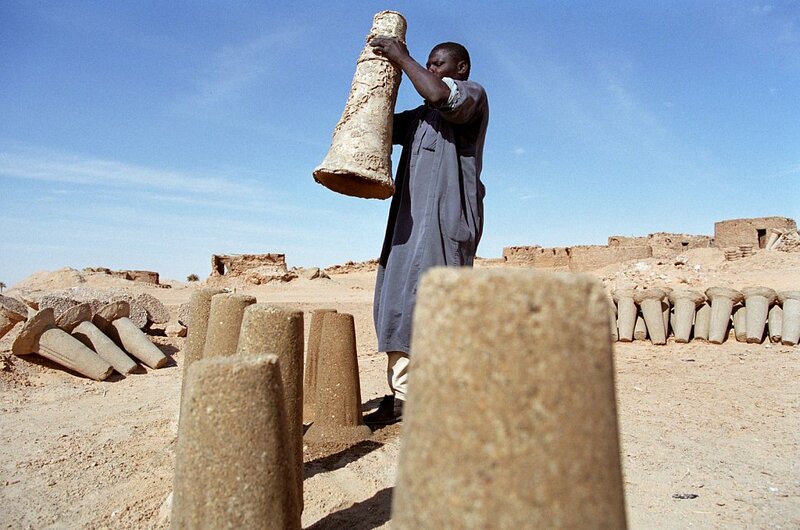 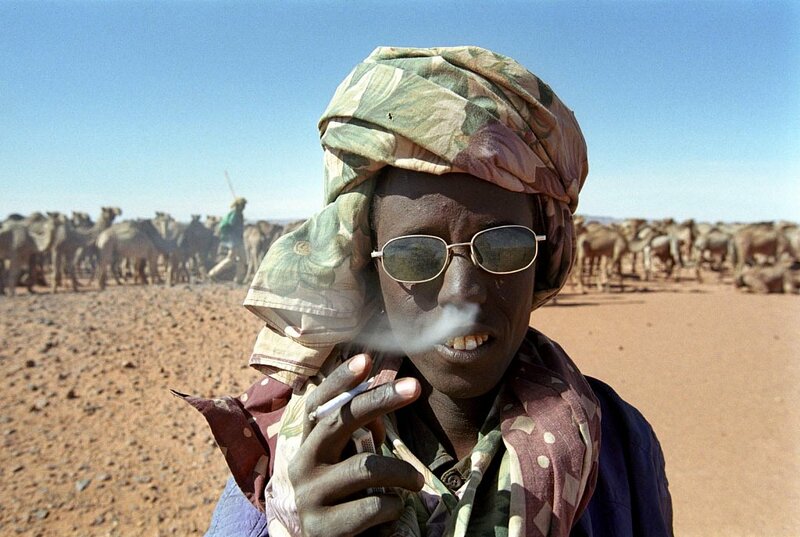 The 750 kilometer trip between Bilma and Agadez takes about 3 weeks. 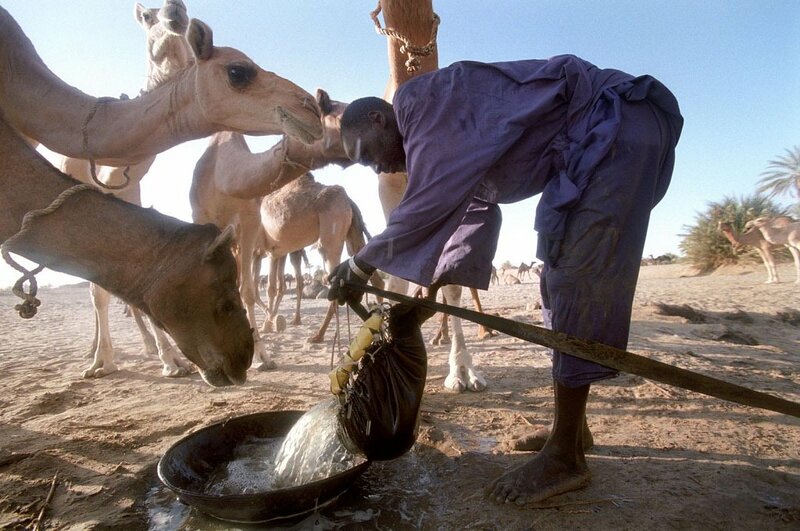 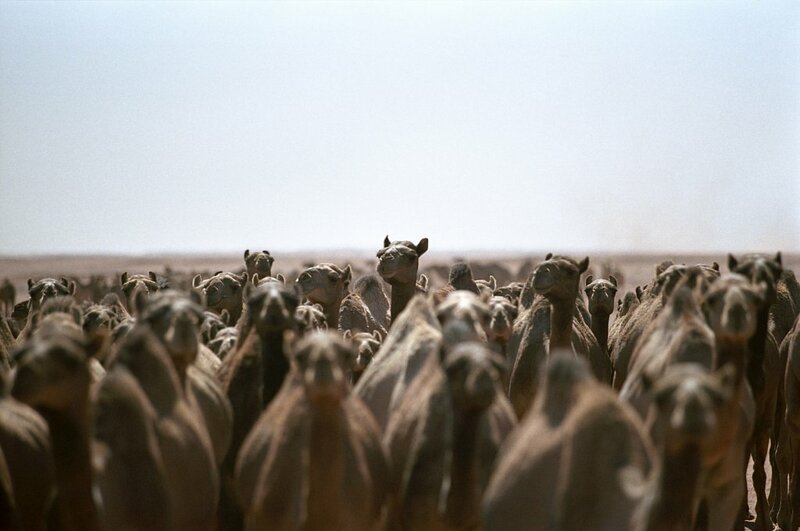 In the past over 20,000 camels took part in the caravan, nowadays maximum 200. 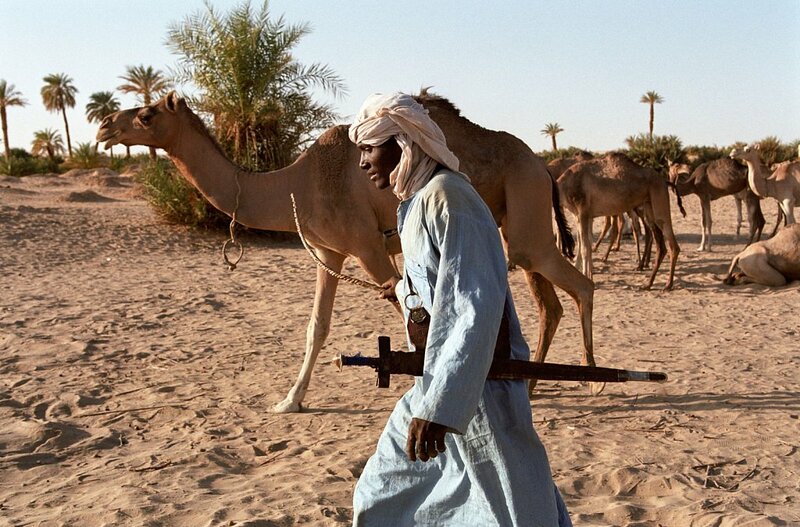 Each winter Tuareg caravans cross Niger's Tenere desert to fetch salt from the Bilma and Fachi oasis. 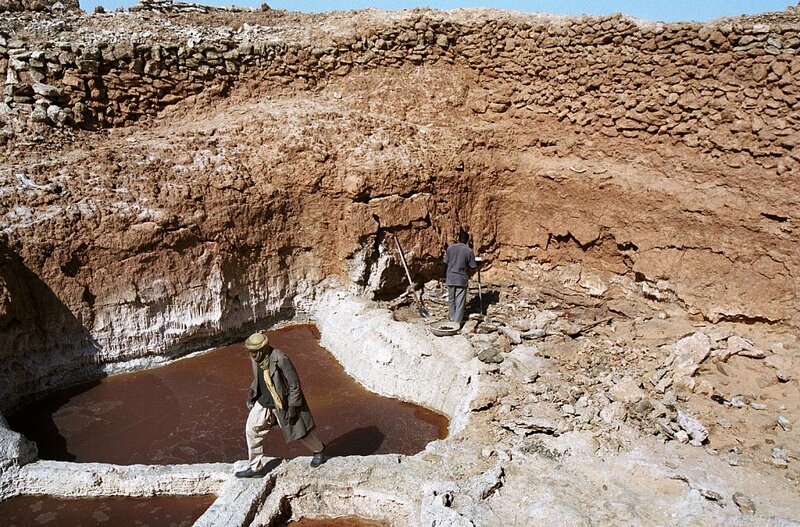 The salt is produced for livestock and is traded for dried vergetables and flour. 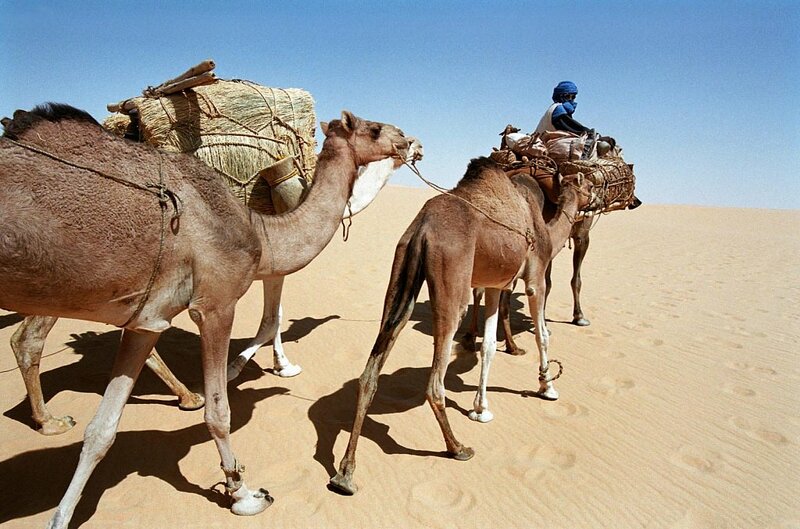 The 750 kilometer trip between Bilma and Agadez takes about 3 weeks. 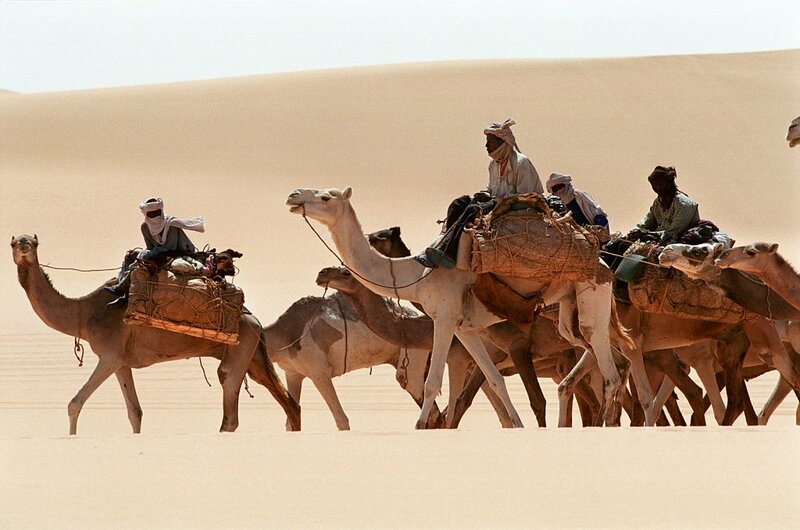 In the past over 20,000 camels took part in the caravan, nowadays maximum 200.